Through the dedicated and innovative work of Faculty and Staff based in 15 Academic Units across the Institute of Agriculture and Natural Resources (IANR) and College of Human Sciences, we are able to help address the grand challenges of global food and water security by working to answer questions important to Nebraska and the World. Our strengths are in our ability to integrate across the research, teaching and extension missions of IANR, and to link basic to translational and applied science, in building systems approaches to complex problems. Across the broadly diverse expertise of our Faculty, and through their strong collaborative spirit and the support of our Stakeholders, we are effectively applying Team Science ‘from Healthy Fields and Landscapes to Healthy Communities’. Please explore our site to learn more about these efforts and the impacts, and support programs and activities within the Agricultural Research Division. 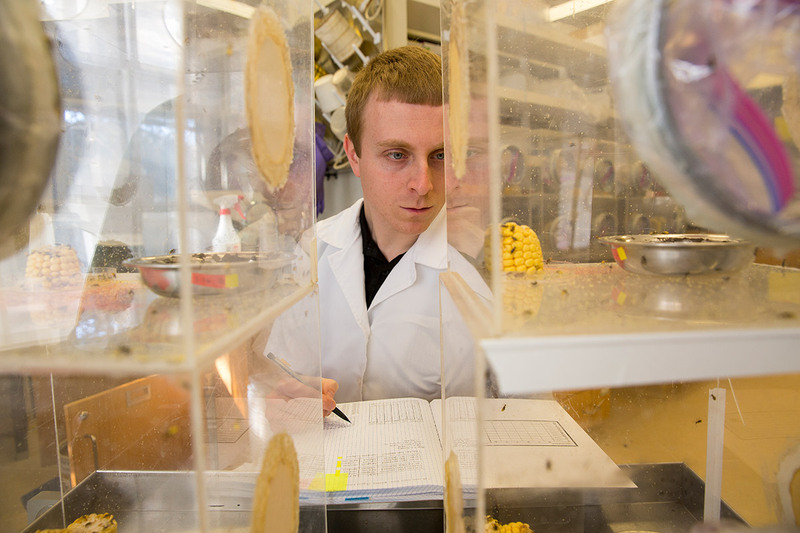 Jordan "Jordy" Reinders, graduate student in Entomology. The Agricultural Research Division is the major research agency of the University of Nebraska's Institute of Agriculture and Natural Resources and is Nebraska's Agricultural Experiment Station. ARD scientists improve the quality of life for Nebraskans across the state. 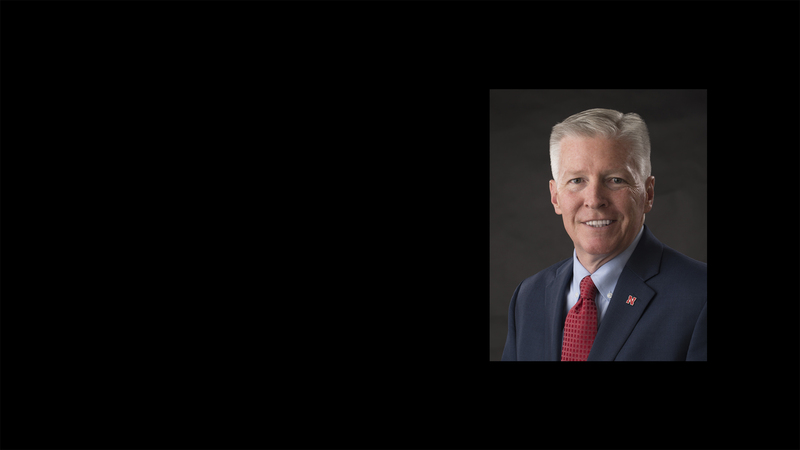 They make important contributions to the state's agriculture, food industries, environment, the well-being of families, and community development. Research occurs in fields, feedlots, the natural environment, homes, yards, gardens, and cities and towns. ARD scientists provide new knowledge and seek answers to Nebraskans' problems and concerns. 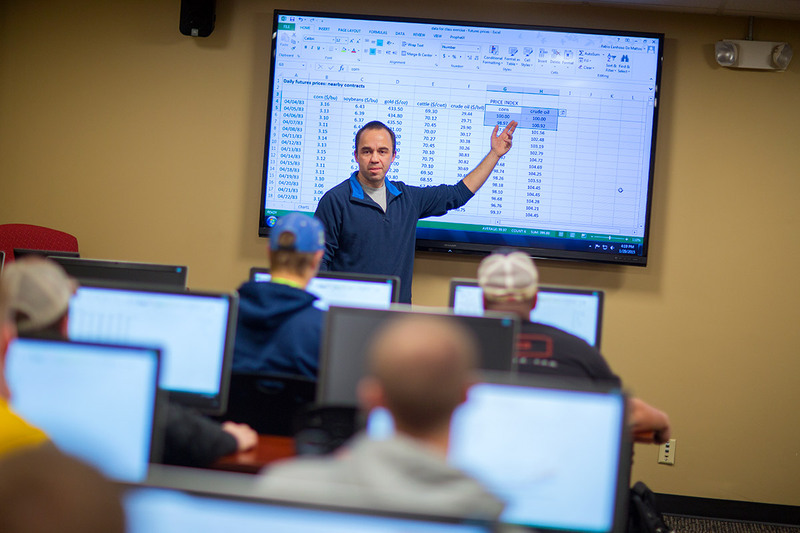 Fabio Mattos teaches Ag Econ 399 - Independent Study in Agricultural Economics in the newly built commodities trading lab. Addresses priority issues facing Nebraska's agriculture and food industries. Provides the knowledge base essential for managing our natural resources. Promotes family well-being and community development. Educates future scientists through hands-on experience. 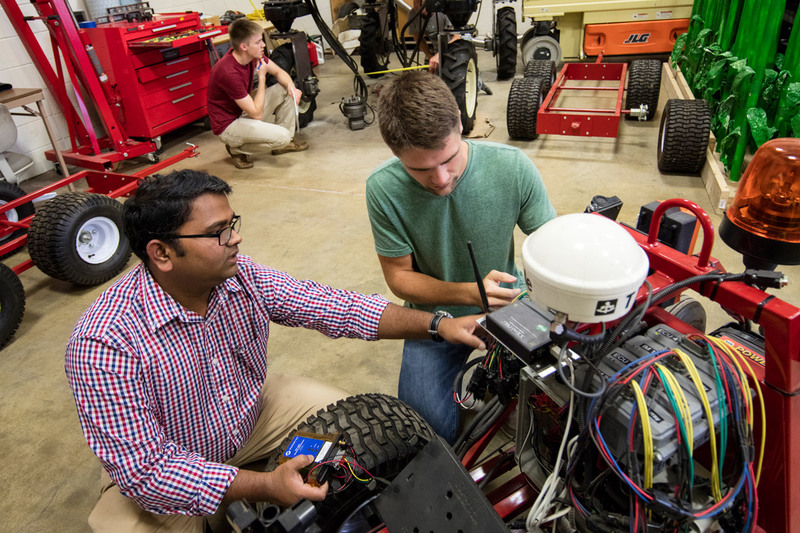 Santosh Pitla discusses the electronics on a robotic cart with Tyler Troyer, graduate student in Biological Systems Engineering. ARD's goal is to enhance the effectiveness of the Institute of Agriculture and Natural Resource’s scientific community in conducting and disseminating the results from relevant, innovative and focused research that is widely recognized for excellence in addressing the needs of today's clientele and contributions to the scientific knowledge necessary to meet tomorrow's challenges.